Still new in the crate. 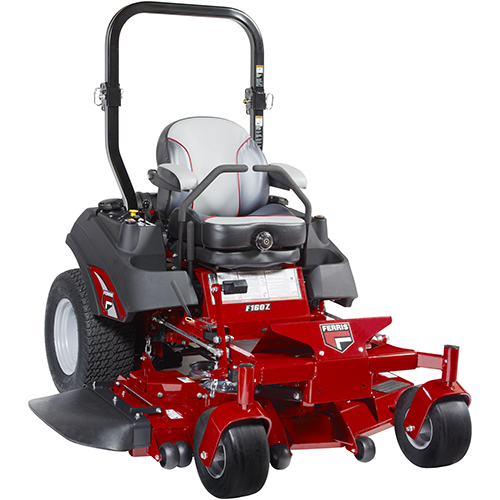 Looking for a commercial lawn mower that’s big on performance but light on price? 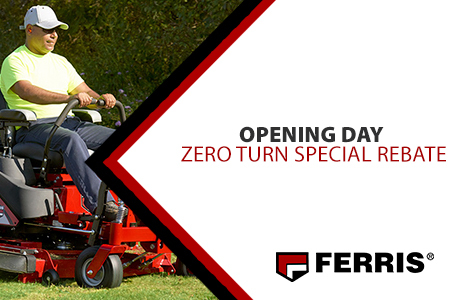 The Ferris F160Z is a compact zero turn that gives the perfect lawn cut. The F160Z professional zero turn features a powerful fuel efficient Briggs & Stratton Vangaurd™ 810cc EFI engine or a Kawasaki® FX730V engine. 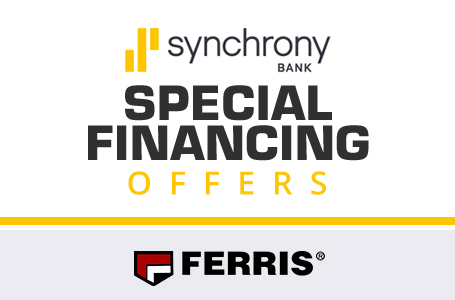 Either of these options ensures big, dependable performance, especially when used with optional accessories, such as a grass collection system. And both engines are backed by a 3-year limited manufacturer’s warranty. Offering an integrated transmission, the commercial-grade Hydro-Gear® ZT-4400™ transaxles with dual cooling fans deliver unmatched power, durability and reliability. And if you’re passionate about cut quality, nothing beats our iCD™ Cutting System with professional striping kit. Available in 48" and 52" cutting widths, this state-of-the-art cutting system allows for better airflow, discharge and superior cut quality. Even when it’s cutting at 10mph. Yes, you read that correctly, up to 10mph! What about lawn mower comfort, you ask? We thought about that, too. The suspension seat, in our premium mid-back design, features adjustable cushioned armrests for added comfort and manually adjusts to operator's height and weight in addition to fore and aft positioning for a custom-like fit. It takes the pain out of those long days in the saddle. But the F160Z’s story doesn’t end there. This commercial zero turn powerhouse has been engineered to deliver maximum ergonomics and ease of use. You’ll also benefit from the F160Z’s foot-operated deck lift. Easy to use, this feature takes the effort out of adjusting cut height. 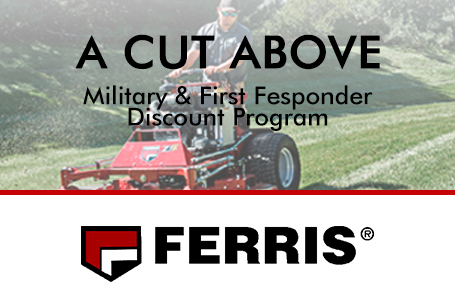 Offering heights from 1.5" to 5" in .25" increments, the F160Z commercial mower is an exercise in versatility. Plus, you get 24" drive tires for enhanced traction, flat-free front caster tires, 11-gallon dual fuel tanks. 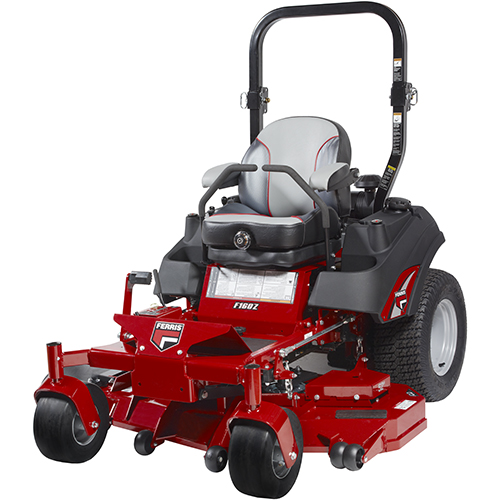 In addition, the 52" mower deck model features our cast iron, greaseable spindles for lasting performance. Like to perform your own maintenance? The F160Z has you covered there too. The mindfully designed floor pan is practically effortless to remove, providing unobstructed access to the top of the deck, enhancing any maintenance you wish to perform. Lastly, for those who like to customize their ride, the F160Z offers a number of attachments, including an array of collection systems, a mulch kit, a trailer hitch kit, and a commercial-grade ROPS mounted LED light kit. And that’s the Ferris F160Z commercial lawn mower. A hardworking, non-suspension, compact zero turn mower designed for the professional who wants value without having to sacrifice performance. Get in and out of your jobs fast with the F160Z. Only from Ferris. Commercial Transmission: Dual, commercial Hydro-Gear® ZT-4400 Transaxles deliver power and durability. Premium Seat: Suspension seat with reclining back and lumbar support for optimal comfort. Fuel Tank Capacity: 11 gal. Cutting Width (in. ): 48 in. Cutting Height (in. ): 1.5 in.- 5 in. Overall Width (in.) deflector down / deflector up (model): 61.5 in. / 51 in. Balance of Machine: 4-Year limited warranty (48 months) or 500 hours, whichever occurs first. Unlimited hours during the first 2 years (24 months). Coil-over-shocks and all suspension related components are covered for 4 years (48 months) unlimited hours. Belts, tires, brake pads, battery, blades: 90 days. Trailer Hitch Kit: Will accept a 1/2” shank ball and comes complete with hardware. LED Light Kit: Energy efficient heavy-duty ROPS mounted LED light kit with simple instructions. All power levels are stated gross horsepower per SAE J2723 as rated by Kawasaki. 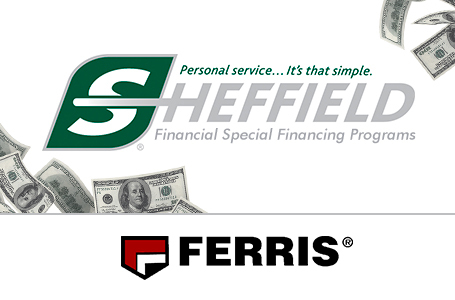 See operator's manual or dealer for complete warranty details. Refer to engine operator's manual for engine warranty.